Ramon Novarro was Ben-Hur to moviegoers long before Charlton Heston. The 1926 film of Lew Wallace’s epic novel made Novarro—known as “Ravishing Ramon”—one of Hollywood’s most beloved silent film idols. His bright and varied career, spanning silents, talkies, the concert stage, theater, and television, came to a dark conclusion with his murder in 1968. Ellenberger’s comprehensive presentation of Novarro’s life chronicles his days in Mexico during the Huerta Revolution, as well as his reign as one of Hollywood’s leading romantic actors, working with stars like Greta Garbo, Myrna Loy, and Helen Hayes. This biography covers Novarro’s descent into alcoholism and despair over his homosexuality and his waning career, finally culminating in a grisly murder that has caused Novarro to be remembered more as a victim than as a star. The author has researched both the private and public aspects of Novarro’s life to return him to his rightful place in film history. 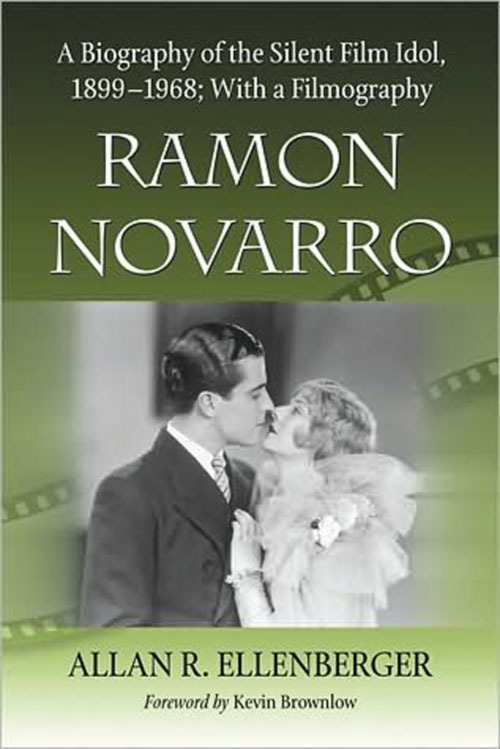 The text includes a complete filmography, and photographs from Novarro’s life and work.